It seems there is always talk about what sins we shouldn’t commit. 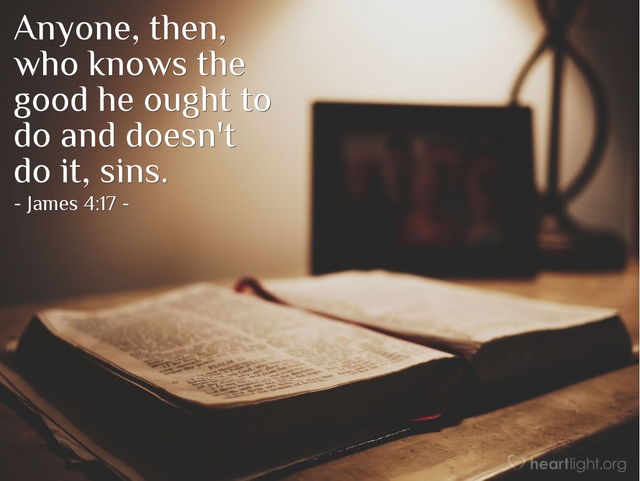 However, how often do we hear about the things we should do and how we are sinning if don’t? Have you ever thought that just maybe if we were focusing on what we should be doing, we wouldn’t be worrying about what we shouldn’t be doing? There really is a lot of things that we are to do that’s given in the scriptures. However, I believe the biggest one that most all of us could work on more is showing love to one another. Think about this for a minute. If our minds were focused on how we could show love and kindness to others throughout our days, I mean focused, we wouldn’t have time to think on the things we shouldn’t be doing. There are so many ways to show love to our brothers and sisters in YHWH. Have you ever stopped to try and think of them?